Erik’s Fat Boy Motivation: you know how you said, “tomorrow is when it all changes.” OR “tomorrow is when I ___________.” You can fill in the blank. But tomorrow came and went, that was then and this is now. 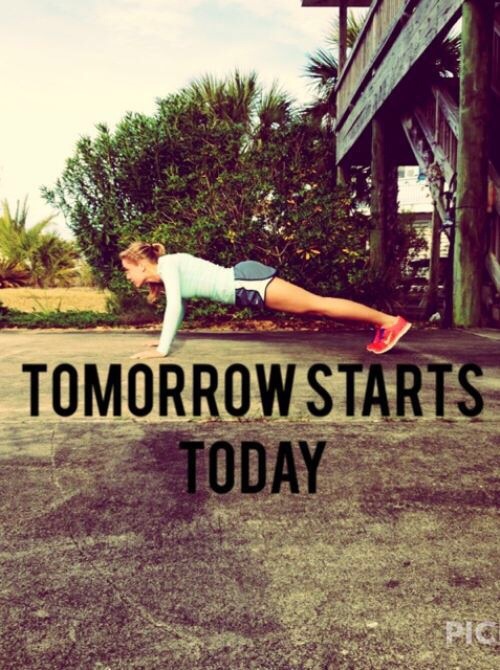 Stop saying tomorrow. You are giving yourself permission to fail! Stop it! I know it’s scary. It’s ok! Someone else may see you in the midst of your fear and then in the midst you start being a person of your word and BAM! now you have inspired someone to overcome their fear! It’s a domino effect! But it starts with stopping. Stop kidding yourself that tomorrow will be today. In all honesty, couldn’t today be the day? Couldn’t today be the day that you start something other than repeated lies to yourself or repeated excuses? Today is the day. Today is the tomorrow you’ve been saying for years. That was then, this is now!